Pulwama encounter ends after 18 long hours in Kashmir. 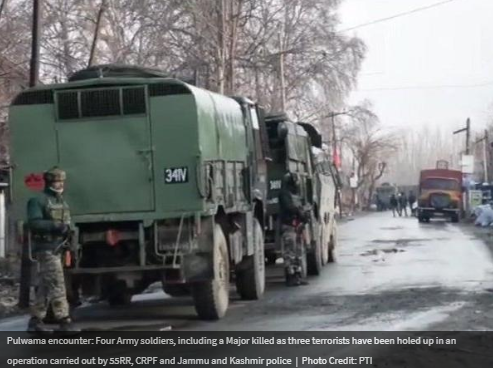 Third Jaish Terrorist killed by security forces in this fierce encounter in which 4 Army Jawans were killed and many other Army/Police Jawans have been injured. Identity of the militant being ascertained now. 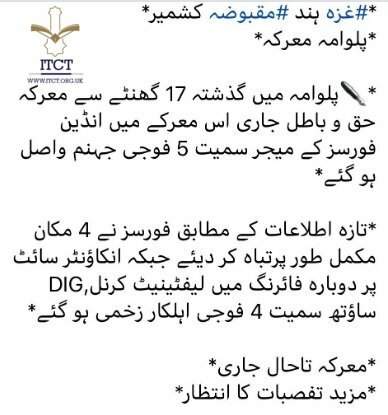 Jaish-e-Mohammed official channel confirms involvement of JeM militants in Pulwama, Kashmir in over 17 hour long gunfight between militants and Indian forces. One more Indian soldier injured in last night/early morning clashes between Indian military and militants has succumbed to his wounds. That brings the total death toll for Indian military in the earlier encounter to 5: one Major and 4 soldiers. 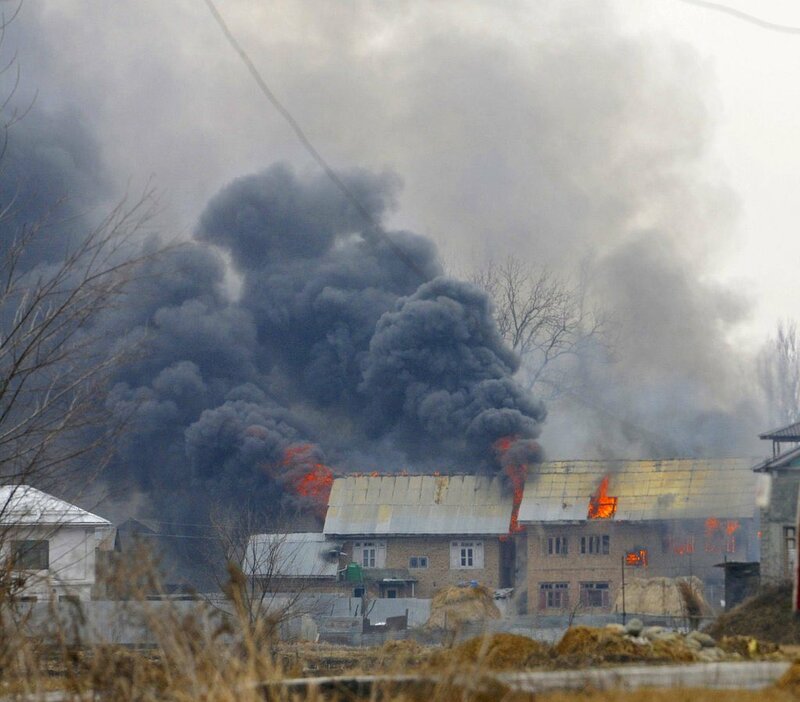 Fresh fighting has erupted in Pulwama, which appears to be ongoing. 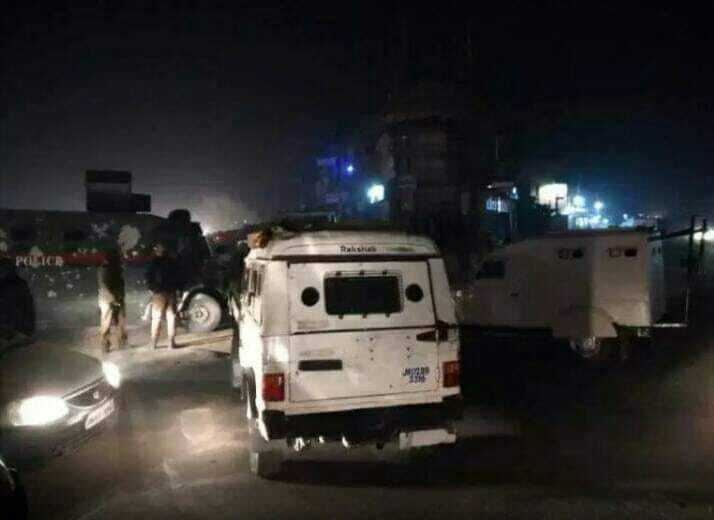 A Indian Army Lieutenant Colonel among three army men have been injured in ongoing gunfight at Pinglina, Pulwama, South Kashmir. 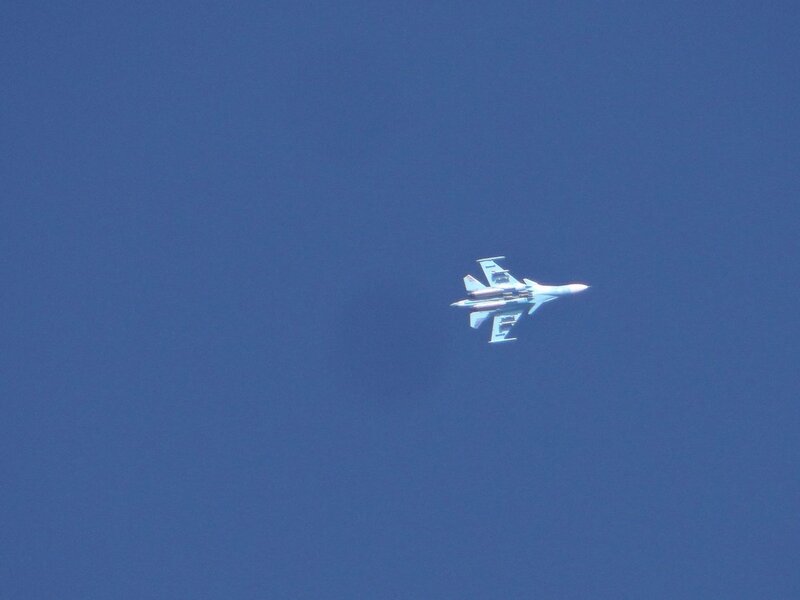 One lone militant is believed be still alive and fighting. At The Hague, Mr. Deepak Mittal, Joint Secretary, PAI, MEA begins arguments from India. 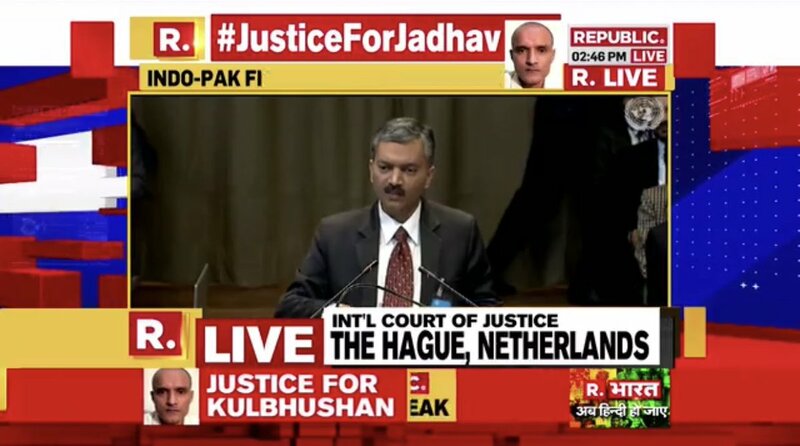 Mittal says, Pakistan military trial of Kulbhushan Jadhav is farcical and violation of Vienna Convention. India has narrated facts of case and Opaqueness of Pakistan's Military Court. 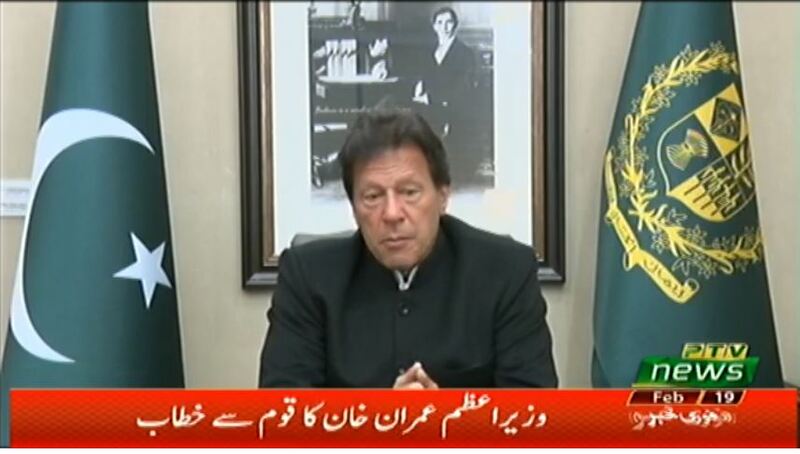 Pakistan Govt says it has called back its envoy to India Sohail Mehmood for consultations. Sohail Mehmood left for Islamabad this morning. 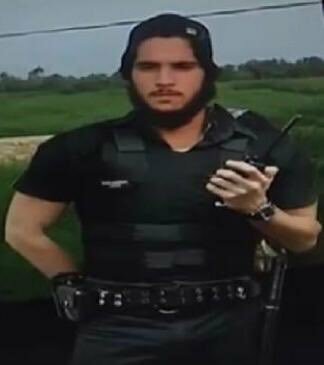 Mastermind of Pulwama attack Pakistani Jaish Kamran has been killed by security forces in Pulwama encounter this morning along with another militant Hilal. Kamran was the Jaish Commander who conspired the attack which killed 40 CRPF personnel. Operation Pinglana (Pulwama). Two Jaish militants killed. 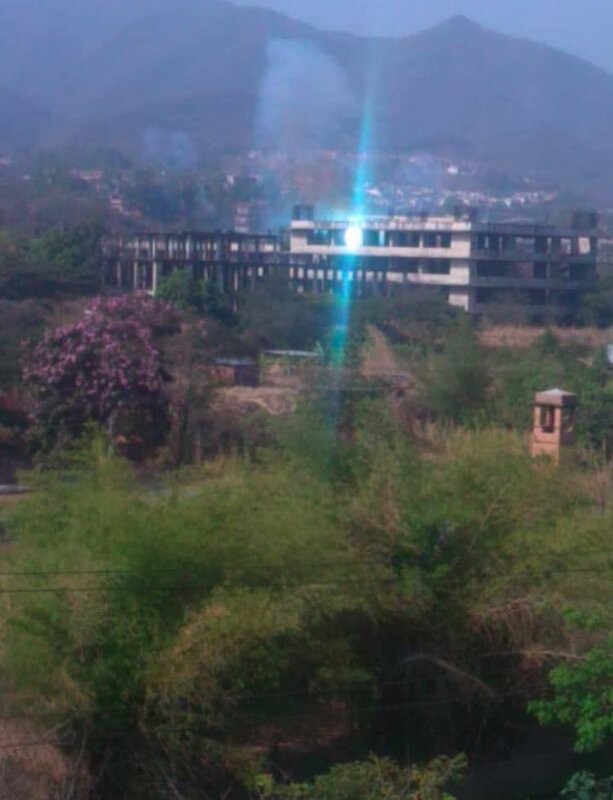 One officer and three jawans killed. Operations in progress. Three Jaish militants said to be trapped in the ensuing encounter at Pinglina Pulwama. According to reports four army personal including a Major have been killed so far. Firing has started yet again after halt of more than 3 hours in Pulwama. Internet continues to be shut in most areas of South Kashmir. The civilians died because they were used as Human Shields by Pakistani militants of Jaish-e-Muhammad. Indian soldiers killed in Pulwama, Pinglan gunfight with Kashmiri freedom fighters identified as Major DS Dondial, Head Constable Save Ram, Sepoy Ajay Kumar and Sepoy Hari Singh. Report: Union Home Minister Rajnath Singh asserted "the sacrifice made by 40 CRPF in recent Pulwama attack will not go in vain" adding "the army has been given a free hand to punish the perpetrators." Pakistan Army yet again violates ceasefire along the LoC in Khari Karmara sector of Poonch district in Jammu and Kashmir. Indian side is retaliating effectively. 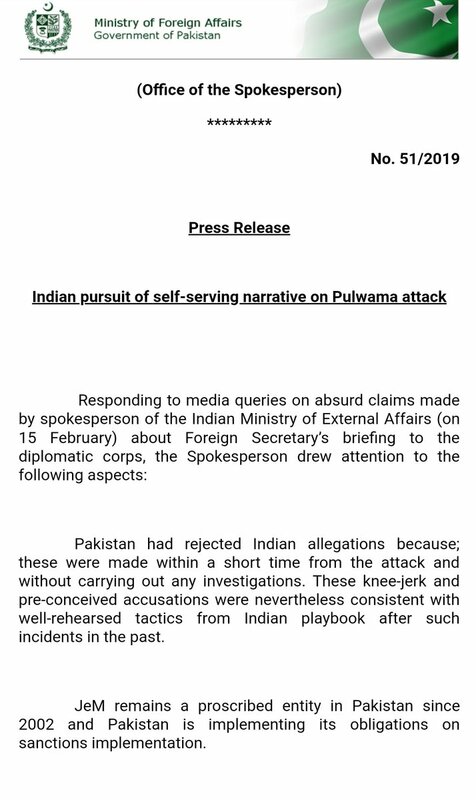 Fresh statement from Pakistan Govt on India's direct allegation of Pakistan Sponsored terrorism in Jammu and Kashmir. 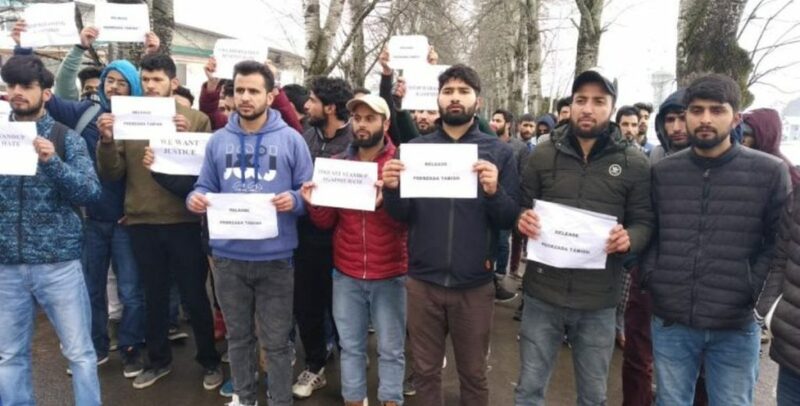 PDP organises protest march in Srinagar against attack on Kashmiris.